Study 6″x8″ (Aquarell water graphite pencil on watercolor paper) I love these pencils – they are so fun to use. Draw and add water with a small brush and shade as you go. 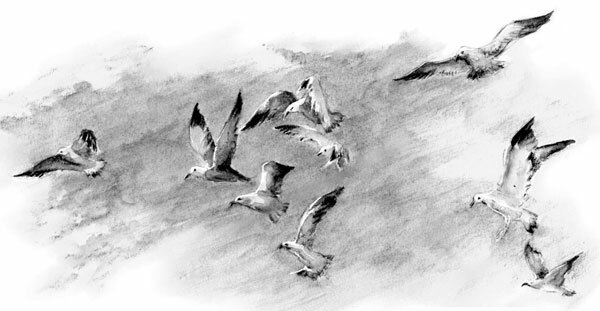 Duluth, Minnesota at Lake Superior – study sketches. Sailing boats are always moving and a bit of a distance away so you have to plein air grab what you can or photograph them. I prefer to just find a bench or rock and give it a try. Later these boats may become a studio painting, or maybe not. The Aquarell pencil allows great range in shading and drawing on site (plein air). The Aquarell pencil also gives a uniform look to sketches over time, with consistent shading values. 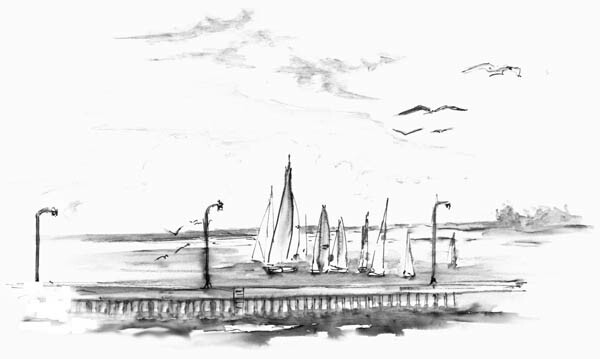 This entry was posted in Drawing and tagged Aquarell, Boats, Duluth Mn. on February 25, 2013 by eightdecades. 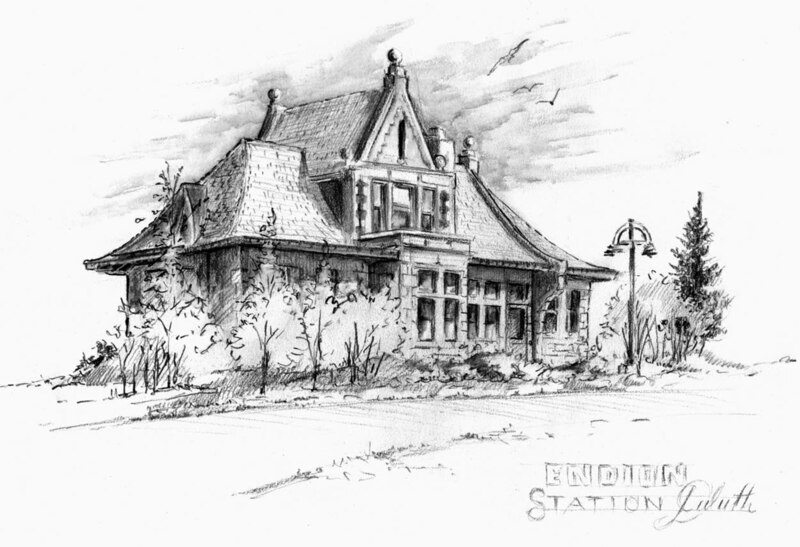 Endion Station, located in Canal Park, Duluth, MN. The Duluth, Missabe and Iron Range Endion Depot is a historic railroad depot in Duluth, Minnesota. Built in 1899 for passengers and freight. It was formerly located at South Street and 15th Avenue East. The Interstate 35 extension in 1985, necessitated moving the building; it was relocated to Canal Park. It features fine brick and stone architectural detailing and craftsmanship. The building is designed with projecting gables that form a transept. Its architect was I. Vernon Hill. The stone came from the Kettle River quarries near Sandstone, Minnesota. This entry was posted in Drawing and tagged Aquarell, Duluth Mn. on February 24, 2013 by eightdecades.